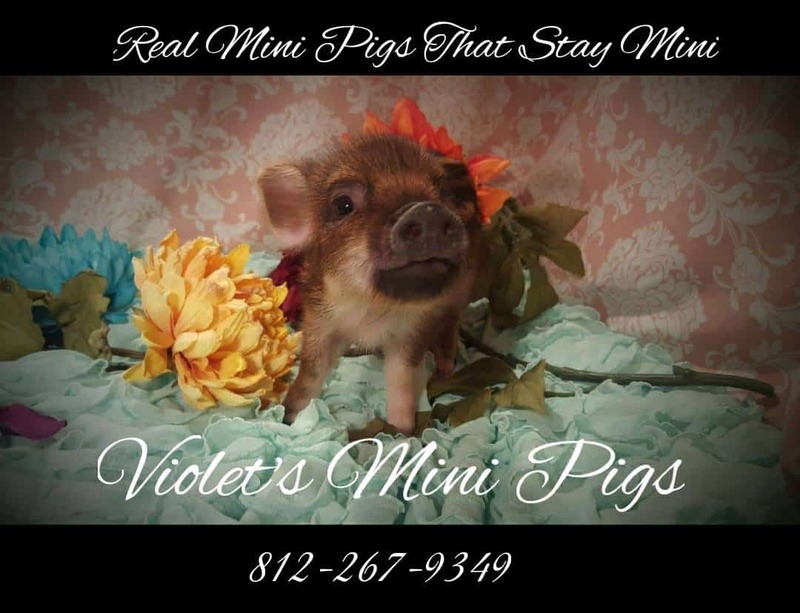 Violet's Mini Pigs – Socialized, Spayed & Neutered Pet Mini Pigs. 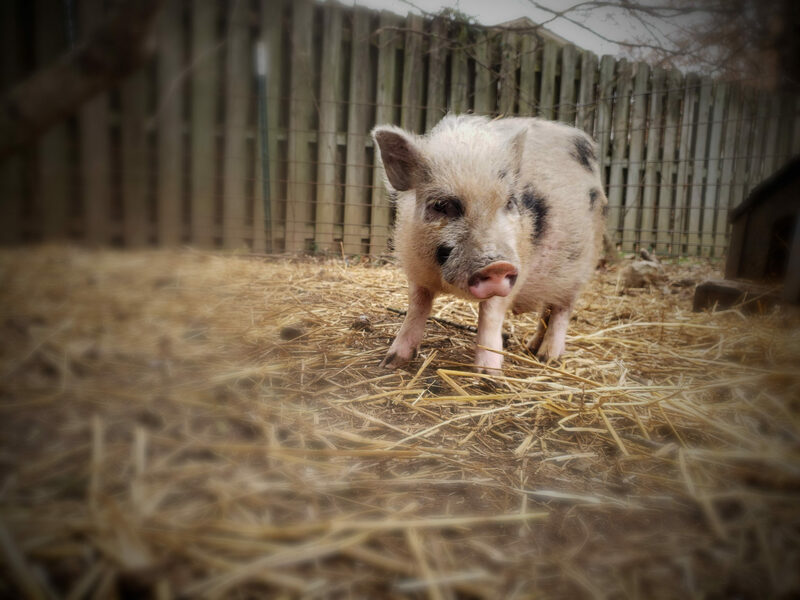 All piglets are $750. It is a $250 deposit to reserve a baby for this upcoming litter, and the remaining balance ($500) will be due one week before your baby flies home (not including flight fees) or at time of pick up. Choice of pick are in order of deposit placed. Please message us below if you would like to know our availability (if you have first/second pick on a girl/boy or if there is someone in front of you). Babies go home at 8 weeks of age, please be patient in allowing our mommas to naturally wean them. We also expect momma to deliver between 2-4 weeks. We are located in the beautiful rolling hills of Southern Indiana. 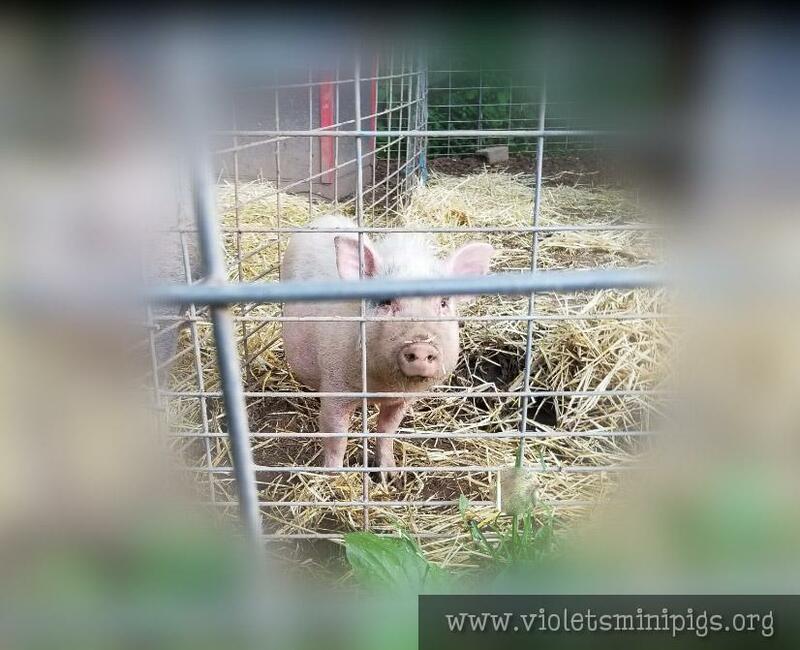 We absolutely welcome families to come in person, see the parents, and visit our farm… however, we are patient in understanding that most of our families are across the country, so we provide low cost and safe-flat rate shipping/flights as well. Your baby can be flown to you for an additional flat rate of $300 including a free crate. Jayjay (momma) stands only 11 inches tall and is 8 years old. Austin (daddy) stands 10 inches tall and is 4 1/2 years old.